Todd Falcone got his start in network marketing at the age of 22, as he was graduating from college. While he struggled during those first couple of years, he went on to build several very successful businesses during the span of his career as an active distributor in the field. It is from those experiences, both the struggles and the victories, that give him the unique ability to speak from the heart about creating success in network marketing. With over 25 years in the profession, Todd has a deep understanding of what it takes to succeed in network marketing. Todd now dedicates all of his time to help people creating network marketing success. 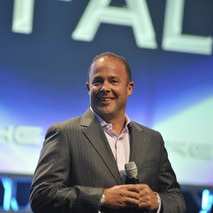 Todd is now one of the most in-demand speakers and trainers in the entire profession. Todd conducts training events, conference calls, and webinars in front of tens of thousands of people all around the world, and has spoken now in over 25 countries to audiences of over 10,000 people. He now consults network marketing company owners, coaches, trains top-level distributors, and teaches individuals about the fundamentals of success in network marketing. Todd is the President of Reach4Success, LLC and author of training programs and books, including Little Black Book of Scripts, Fearless Networking, Insider Secrets to Recruiting Professionals, How to Win in the Game of Prospecting and Cracking the Code to Success in Network Marketing. Todd also hosts one of the longest-running training calls in the entire network marketing profession. For over 15 years, he’s been hosting a live training every Monday night where he teaches strategies for success in network marketing. Todd’s distinctive style of candid, in-your-face training, layered with comedy has his audiences both laughing and learning at the same time. He’s captured the attention of literally hundreds of thousands of distributors worldwide who swear by his trainings and his comedic, yet direct approach to teaching success.